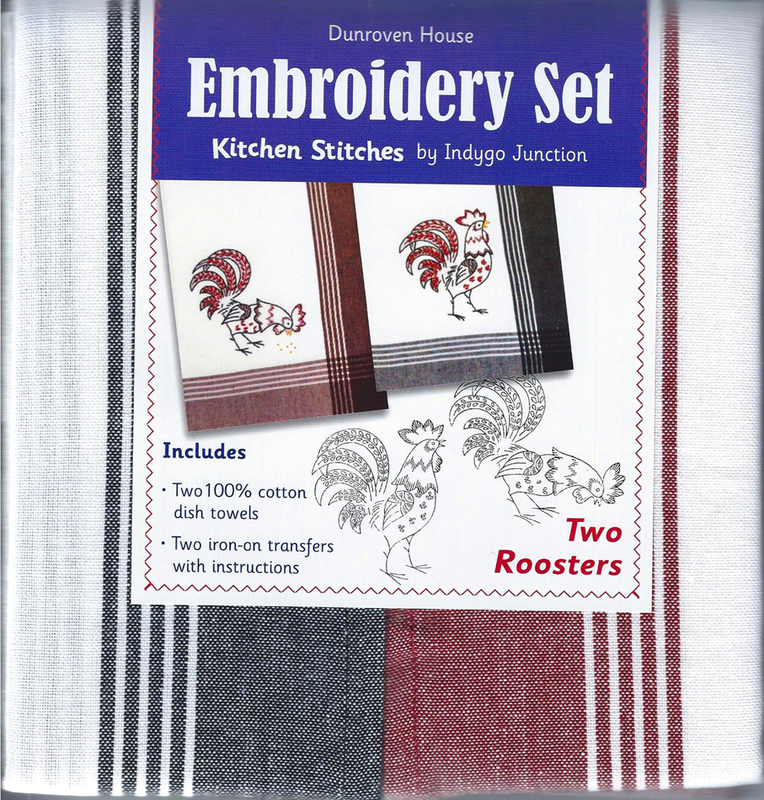 Set includes two iron-on transfer patterns with instructions, and two 20" x 28" 100% cotton towels. One towel is white with black stripes around the edges, and the other has red stripes. PLEASE NOTE: This set does not include embroidery floss or needle.